We will be closed March 6-11, but will respond to messages--phone, text or email. 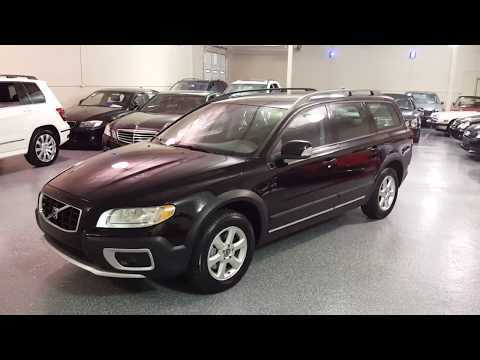 2008 Volvo XC70, Black with black interior, 104K miles, One Owner, All Wheel Drive. Power windows and locks with remotes. Power driver's seat with 3-position memory. Automatic climate control, rain-sensing wipers, stability control. Extremely clean inside and out. Not your average Volvo wagon. The 2008 model was totally updated. Great styling inside and out. Hard to find locally with low miles and in pristine condition. There is no evidence of any collision damage. Fully detailed, must see in person to appreciate the value of this wagon. EXTRA CLEAN! Select Motors, LTD. has been visited 13,719,070 times.